At it simplest, a complete community is a place people can live, work, and relax throughout their lifetime, without having to get in a car and drive somewhere else. A mix of market affordable, and non-market housing including townhouses and apartments. A community for everyone: not just when we’re in our prime, but also when our abilities shift or decline. Complete communities create space for a variety of transportation options; in addition to driving, you can walk, bike, and hop on transit to get where you want to go. Complete communities take health and wellness seriously. A complete community allows us to give and receive care if and when we need it, without having to move far from home, or move at all. Complete communities include mixed-use nodes of businesses, services and grocery to meet residents’ needs, while also serving as social and employment hubs for people who live in the community. Complete communities may help reduce chronic disease and the need for acute end-of-life care by focusing on preventive health and wellness. Building complete communities could help reduce healthcare costs and improve people’s quality of life. Sites and buildings can be arranged to allow a person to progress through their life cycle from birth to death. Health and wellness can be holistically addressed without people having to leave their community if they have a health crisis. In order for the integrated care model to work in Alberta, we must build complete communities that provide the option for such care to be provided. Let’s work together to create an integrated model for land use planning, development and health that puts people first. How Do We Create Complete Communities? The real estate development industry is responsible for the vast majority of land development in Alberta. This sector acquires land, obtains municipal approvals, subdivides and provides infrastructure services to the land. The land development process determines the look, feel, and configuration of the resulting community for the next several generations. 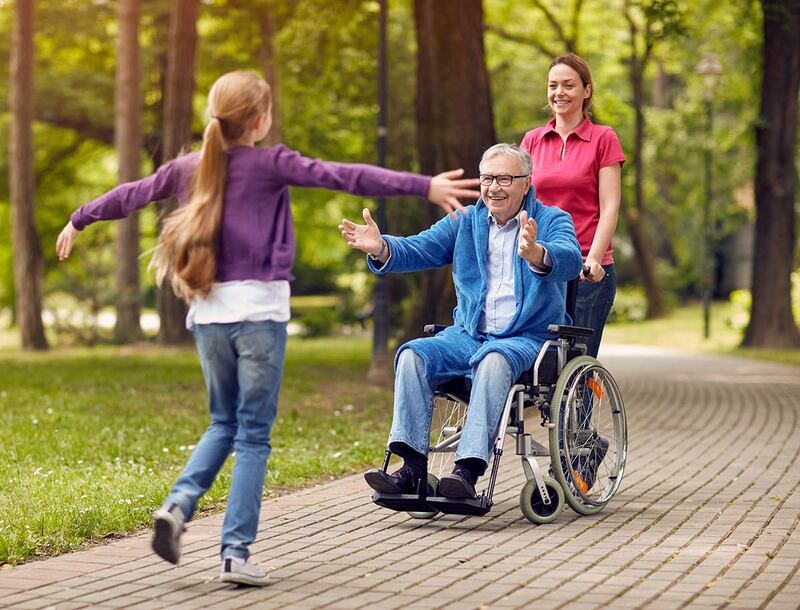 It is vital for the real estate development industry to play an active role in creating communities for all ages and abilities, not just for young and able-bodied adults. The public healthcare system provides for most of our health care needs as Albertans. However, for the public system to entirely take care of both our health and our housing as we age would be incredibly expensive and resource intensive. We’re getting older. It’s time to rethink how we build our communities to ensure we’re building for wellness, and incorporating active transportation and recreation options as well as the overall physical, social, and emotional supports we need as we age. A complete community is more than the sum of its parts; each building within a community should be built using sustainable solutions that increase energy efficiency, thereby reducing both environmental impacts as well as long term operating costs. Efficiently operating a building that integrates care is both an art and a science. Essential services include care, security, food and other essential services. In order to ensure viability, buildings should be built with ageing well at the forefront of the conversation.